From the “I Tried to Tell You, but You Just Wouldn’t Listen” department. Back on this date, May 9, in 1954 the Cook County Highway Superintendent William Mortimer, along with his chief engineer, Hugo Stark (which, by the way, is a GREAT name for an engineer) offered their opinions that the eight million dollar reworking of Lake Shore Drive between Oak Street and Roosevelt Road was doomed because it failed to do anything about the two 90-degree turns at the Roosevelt Bridge that crossed the river. 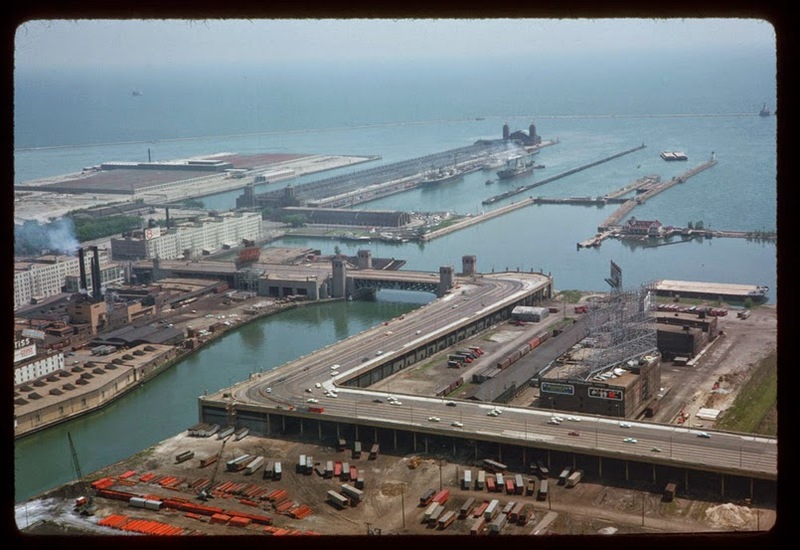 More than that, though, they also said that the plan omitted any provision for a connection between the Congress Expressway, for which preliminary planning was far along, and Lake Shore Drive. It wasn’t until 1982 that something was finally done about the first problem, and construction began on new lake fill to reduce the severity of the turns on the south side of the bridge, a project that was completed in 1987. Still, I loved that “S-Curve”. I remember coming into the city from the north in the back seat of my dad’s 1959 Chevy, watching him slow the car to walking speed to negotiate that first right angle turn. And then . . . there was the city, rearing up sleek and huge, as we headed west after the turn, going slow enough as we approached the second sharp turn so that there was time enough to let the immensity of this vast stone city into the willing heart of my nine-year-old being.